In a recent statistical study, it was confirmed that there are at least 51,000 fires each year. Of these fires, electrical distribution systems are the third leading cause. 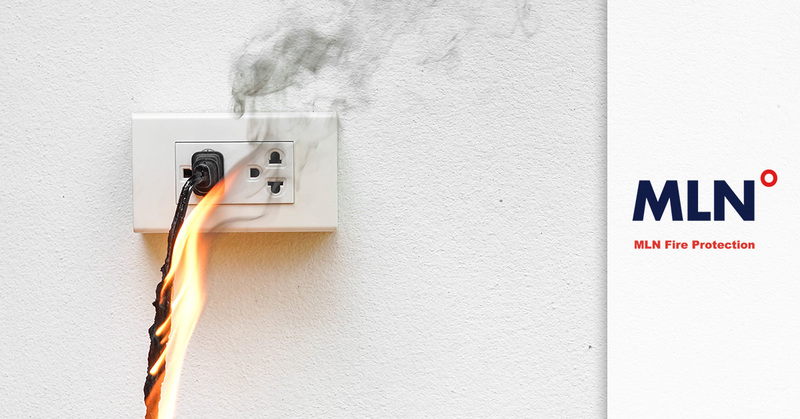 It has been confirmed by the Electrical Safety Foundational International that arcing faults are responsible for initiating more than 28,000 home fires. Of these thousands of fires, the damage costs reached up to 700 million dollars. So, why do these fires start? Is there a way to prevent them. The key to prevention is education; in this blog, we will discuss what causes house fires and how to do your part to make sure that you are never a victim. Though a society without electricity is improbable, there are steps we can make that use electrical resources in a safer way. After all, electrical fires aren’t something to overlook, as people have lost their lives to house fires. On average, 2,570 people die from house fires annually. The biggest culprit of these fires is faulty outlets. These types of outlets are common in old homes. Most of the reason for this is that people who own older homes don’t take the time to update appliances. So, due to the age of the outdated appliances, electricity cannot be utilized properly. Other outlet fires are caused by faults in appliance cords or switches. If any appliance has a worn or frayed cord, immediately remove it and throw it away. Because of the exposed wires, heat can be transferred into the floors, curtains, and rugs. Because all of these things are made from thread, they are very flammable. If you have a home, never let cords run underneath your rugs. If the system is updated, or even new, heat can still be transferred to the rug. If you remove the grounding plug from a cord so it can be used within a two-prong outfit, it can cause a fire. Outlets tend to have extra prongs so that they can be used in outlets that can handle the designated surge of electricity that an appliance requires. Lamps, light bulbs, and other lighting fixtures all have the potential of causing house fires. When you install a bulb in a lamp, you must make sure that the watt intake is comparable. For example, if the wattage is too high for the lamp it could easily become overwhelmed and cause a fire. When buying a lamp and bulbs, you should always check the minimum bulb wattage on any light fixture. Make sure you never go over the recommended amount. Extension cords can be so useful in a home, especially when appliances have small cords. However, as a rule, it is best to plug appliances directly into their outlets. Extension cords, unfortunately, are accident prone. Because power isn’t going directly into your appliance, there is a chance a bit of the electricity will be ignored. Extension cords often lay of the ground due to excess cord. If the extension cord is plugged in with a major appliance, it can cause a house fire. The best way to keep this type of fire from happening is by hiring an electrician. With the help of a professional, you will be able to install new outlets so your appliances will be able to get direct power. In the winter time, a space heater can be a blessing. They keep your home warm, even in the coldest of temperatures. Best of all, space heaters are portable so they can be positioned anywhere in your house. Let’s face it, you spend a lot of time in your house in sitting positions on your couch or your bed. After a long day, staying cozy in your bed with a heater is ideal. However, space heaters can be unpredictable because they can get too hot and cause fires on any combustible surface. In homes, people tend to place their heaters too close to their couch, curtains, and even bed. Because of this, thread material can catch fire and set the rest of the house ablaze. Worse, because space heaters are so unpredictable and raise to such dramatic temperatures, it is easy to underestimate how far away to position them. The best way to fix the problem is to set your heater as far away from any surface as possible. And, you should also make sure you know the age of the space heater. Older models can be unstable and become dangerously hot. Worse, they can cause burns to any surface they are near. Keep in mind that coil heaters are dangerous. If you want to buy a heater make sure that it is not a coiled model. Coiled space heater temperatures are difficult to control, which means they are extremely flammable. Outdated wiring can cause electrical fires just as easily as any of the above things we have mentioned. If a home is older (around 20 years old), it may not have the wiring abilities as a younger, new house. Because of this, the wiring may not be able to handle increased amounts of electrical appliances, such as a coffee maker, a computer, and any other appliances that fill your home. Modern times have made it so that humans are dependent on electricity. Because of this need to be connected, homes are expected to have more capacity for electricity. Older homes, with older wiring, will not be able to keep up. Your home’s breaker system will respond to the surge of electricity. However, if your breaker box is an older model, the amount of electricity might cause it to overload and cause a fire. The best way to combat this problem is by hiring an electrician and replacing some of the wires in your home. You also will have to speak with an electrician about how much electricity input your home can currently take. The key with electrical fires is to stay informed about how they start and how to prevent them. Much of the issue with electrical fires is that they begin in our homes when we least expect them. In fact, 65 percent of house fire deaths occur when there is no fire protection system installed prior to the fire. That means, without a smoke detector of a sprinkler system in place, homeowners aren’t aware of the fire. And, because they inhale the toxic fumes of the fire, they often never make it out of the house. 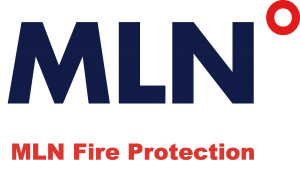 MLN Fire Company wants every homeowner to know the importance of fire suppression systems. Not only will they alert anyone in the home of a fire, they will help contain the flames until the fire department is at the scene. 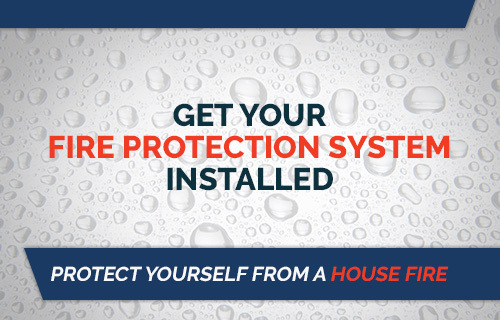 Protect your family, your home, and your interests with a fire sprinkler system from MLN Fire. Contact us today.